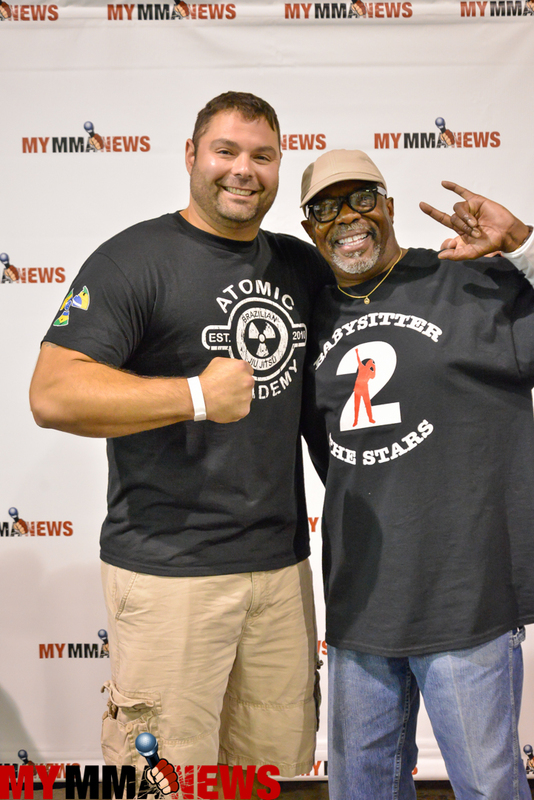 MyMMANews.com reporter Adam Crist caught up with the legend himself, the Babysitter to the Stars, Burt Watson, this past weekend at the MMA Classic Fan Expo in Syracuse, New York. 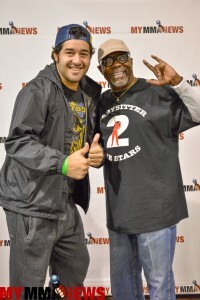 The man who made a living by ‘hyping’ fighters and fans alike said he was extremely happy with the turnout of the expo. 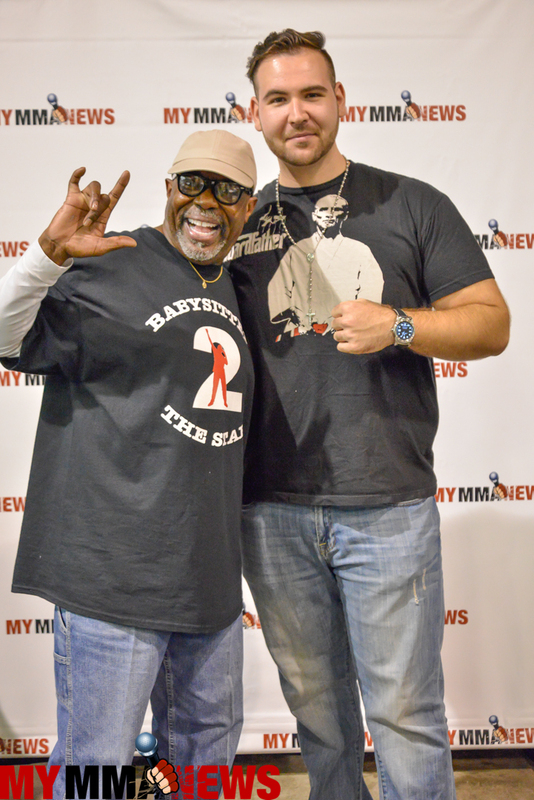 Watson, who parted ways with the UFC earlier this year is one of the most beloved figures in mixed martial arts. Shortly after his departure, the Philadelphia native signed on with Cage Fury Fighting Championshops (CFFC). “It’s a blessing to still be relevant,” Watson said. Watson said he was approached by Rob Haydak, CEO of CFFC. Watson said he is excited that he gets to do something different that he never did before in his career. Watson also showed Crist how to do his famed ‘We Rollin’ catchphrase and it was all caught on film. 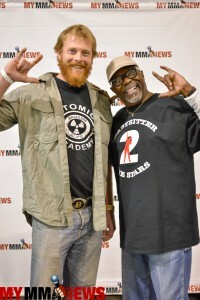 How did Adam do?